Microsoft is going to introduce a cost-effective Surface tablet in the fourth quarter of this year. The aim of the company is to conquer the market and to compete with its old rival Apple Inc.
Microsoft is planning to launch a tablet that not only has 10 inches screen but the device is much more lightweight as compared to 12-inch Surface Pro. Moreover, there is a rumor that the tablet is coming with round edges that will be quite similar to an iPad and totally dissimilar from the squared edges of current models. As per the sources, the company is working hard to make the tablet more tempting that’s the reason, they’re including USB-C ports, new charging and syncing standard that is used by latest smartphones. The company is going to price it for $400. It is also said that the coming tablet will be around 20% lighter as compared to the high-end models, and contain at least 4 hours battery life. However, according to Microsoft, the current Surface Pro comes with minimum 13 hours battery life once it is charged completely. In the past, Microsoft faced issues to sell the Surface devices with high-volume hit and they come up with new selections too in order to make sure they won’t end up compromising the growth. In fact, in the previous fiscal year that ended last June, the Surface profits dropped by two percent when the software giant had low volume sale due to the old Surface Pro line. The all-time rival Apple easily sold out over 44 million iPads and made $20 billion revenue in last year. Wherein the software giant entire Surface hardware business made $4.4 billion in the same duration. As per the sources, where Apple sold 9.1 million iPads, Microsoft only managed to sell 725,000 tablets in the same period. The existing Surface Pro range begins at $799. Although the prices have not been finalized yet, the software giant could start the range of the new devices at about USD 400. Just like the current Surface Pro, the new tablet will not be hustled with the keyboard cover. According to the sources, Microsoft has plans to introduce cost-effective devices so the company is trying to come up with economical versions of its mouse and keyboard cover. This time new keyboard cover will much cheaper than $160, which is the amount of current keyboard cover. Moreover, the software giant has the plan to launch the product with multiple models with 64GB and 128 GB storage space, which can easily connect to LTE cellular networks. Just like Surface Pro, the new device will have kickstand for watching a video lavishly or upright typing. The device will run on Windows 10 Pro. YouTube is using Content ID data to show full music credits and link to the official videos that are hosted on the YouTube platform. WHAT’S “MUSIC IN THIS VIDEO” FEATURE? The “music in this video” feature that is provided within the show more option that contains the additional information for songs such as songwriter, artist, publishers, labels and the link of the official artist channels and music videos if it’s available. This section is accessible on more than half billions of videos that contain the detailed information about the credits associated with a music. YouTube is going to be the first platform that introduces music credits and discovery links on millions of fan-uploaded videos. 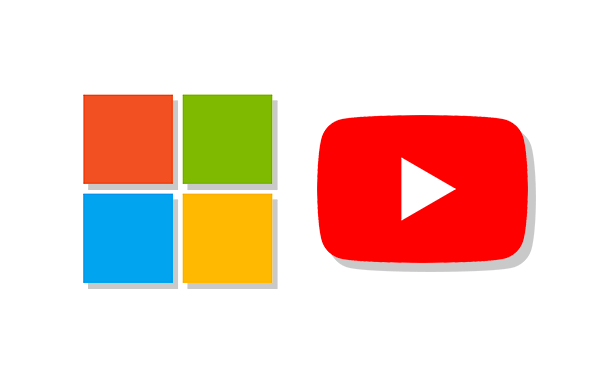 The “music in this video” feature is operated by YouTube’s Content ID system that finds and generates revenue by uploading videos for rights owners. You can tap on the Show more option that is provided below the video, to get the detailed information about the people whose are part in the making of the video such as artist, songwriter, label and publisher Info. whether is an official video or a homemade video, the new changes will be applicable to all the videos that are hosted on the YouTube platform. YouTube will use this new feature to cross-sell its products such as YouTube Red and more. Let’s say a song is playing in the background of homemade video, YouTube will link it to the artist’s official channel and official version of music video, given the condition, the song is on YouTube. WHAT’S THE MOTIVE BEHIND THIS? Giving the correct and all the credit to songs is a problem with many of the online streaming platforms. In fact, back in 2016, due to the controversies, YouTube had to settle between 30-40 million dollars with the National Music Publishers Association(NMPA) to pay royalties to songwriters. So, the new feature is added to provide the full and accurate data for online music and the partnership between record labels, online platforms, publishers, and music rights societies are helping to link this data.